Director Geoff Pinfield, composer Beatrice Lewis, and performers Mike McEvoy and Rachael Dyson-McGregor. Q. Why do you wear headphones in the show? Rachael: Two Mortals is made up of a series of interviews collated over two years, which have been edited together to make a thematic story. We’re using a form called ‘headphone verbatim’, which means the original audio from the interviews is being played into the performers ear. As the performers, we’re using this to replicate the character’s vocal print- breath, inflection, tone, the way they might smack their lips together or pause mid-sentence. It’s about how they said what they said, not just their words. Mike: That’s why Geoff (Pinfield, director) jokingly refers to us as meat puppets, because we don’t need to learn our lines, we just regurgitate them. Q. It’s not all talk, though, is it? Rachael: No! What would a show about death be without a stage death? Before the show, we chat to a couple of audience members and their responses are quickly edited into the show. One of the things we ask them is, ‘what would be a fun way to die?’, and then Mike has to replicate that death during the show. Mike: People have had some pretty interesting ideas so far! My favourites have been dying from eating too much cheese, a plane crash with champagne in first class during a flight home from a romantic New York holiday, and meeting my death while riding a magical beast. 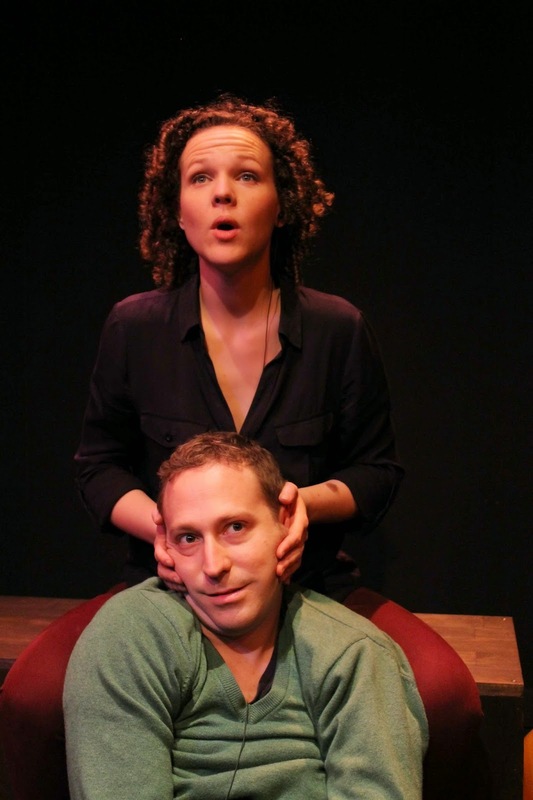 Mike McEvoy and Rachael Dyson-McGregor on stage in Two Mortals. Q. Although this will be Two Mortals first New Zealand season, you’ve had two previous Australian seasons. You’ve described the show as having an uplifting effect on audiences, motivating them to seize the day and tackle their bucket lists. How has working on Two Mortals affected your own lives? Geoff (from somewhere above us on a ladder): I’ve done that one. Rachael & Mike: Have you?? Rachael: All of our interviews are with people who have a day-to-day relationship with death, and what I’ve realised is that these people tell great stories, they’re vibrant, they’re aware of their own lives as impermanent things and wanting to fill them. Their proximity to death has made them more alive. Death is a beautiful stage of life that we don’t talk about, and then we fear it because we don’t talk about it. If we take these baby steps to include it more in our lives, it’ll actually make our lives richer. Mike: Definitely, facing death makes us live better. I’ve found myself being far more honest. Geoff (still from above): I’ve cycled more dangerously. Rachael: I’ve worried less about status and career, those things that you realise, in the end, won’t matter. Mike: And I don’t want to miss out on doing things. Like that diving board out there in the harbour, if I was to leave Wellington without jumping off it, I’d be disappointed. 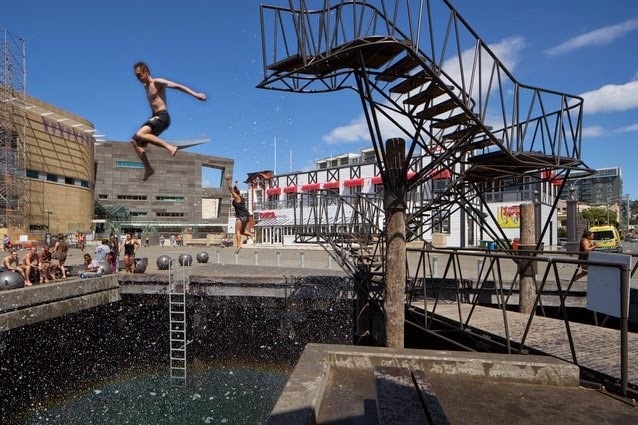 In fact, if Two Mortals sells out at least one night of our season, I promise I’ll jump off the Wellington harbour diving board! If you’d like to see Mike make good on his promise, make sure to book now for Two Mortals at Circa Theatre. 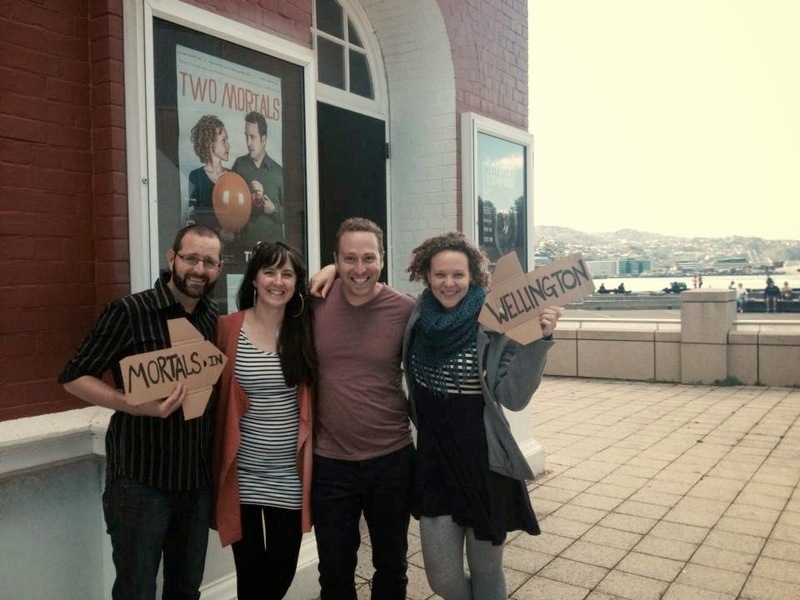 Theatre Beating, the company that brought you award-winning shows The Magic Chicken, Real Fake White Dirt and On the Conditions and Possibilities of Helen Clark Taking Me as Her Young Lover have a new, near-death experience for Wellington audiences with their critically-acclaimed show, Two Mortals, opening this Wednesday, 1 April, at Circa Theatre.